The Great Outback Escape is going to be an unforgettable ride and we want to make sure you have the best experience by not forgetting anything. We’ve put together a packing list with everything you need to bring on the Great Outback Escape and some information to help you plan. The weather in the NT in May can be both cold and hot. Low temperatures at night time can drop to 6 degrees but feel like 3 degrees. During the day it can warm up to 23 degrees. We recommend being prepared for all weather conditions and using layers of clothing so you can easily dress up or down as the weather changes. When you pack your things please remember that there will be five days of riding, a rest day and two travel days at the beginning and end of the event. Self-service washing machines and dryers will be available at all places of accommodation, except the Glenn Helen Homestead on Sunday 12 May. Bicycle Network will provide washing powder when it is not supplied by hotels. Your bike. See information about our bike transport service if you cannot bring it yourself. If your bike is flying with you, see our bike boxing tips below. Helmet. While it is not mandatory to wear a helmet when riding off-road in the NT, the Great Outback Escape will travel on roads. Bike lights – a white one for the front and a red one for the back to use in dark conditions. Also remember a charger or spare batteries. Two water bottles and cages for them on your bike. Spare tyre tubes, repair kit and bike tool. While we will have mechanical assistance on the ride it is a good idea to always have some spares on you. Riding clothing that you feel most comfortable in. Pack some wet-weather gear and consider the changing temperatures and daily riding distances. Premium ticket holders will be having a true outback experience by camping under the stars (in a tent) at the Glen Helen Homestead. Bicycle Network will be providing your tent, sleeping mat and sleeping bag. 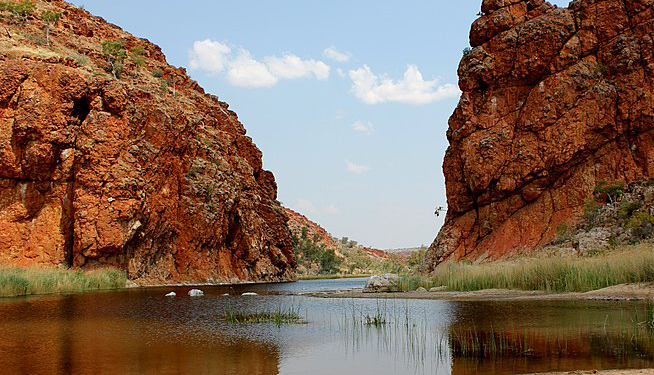 The nights can be very cold in the NT, and can drop down to 0 degrees in May. We highly recommend packing warm clothes including thermals and a beanie for your camping night. *Self service washing machines and dryers are available at all hotels, except for Sunday 12th at Glenn Helen Homestead. Please note, some hotels may charge for use of laundry services and washing powder. The Bicycle Network team will bring some washing power to share with everyone throughout the journey. All airlines require your bike to be boxed. You can normally scrounge a cardboard bike box from your bike shop, and for a fee, they may also pack it for you. The standard way of packing is to remove the front wheel and pedals, drop the seat post down (or remove it), loosen the handlebar and turn it parallel to the frame, and take some of the air pressure out of the tyres. You then have to fit it all in, and add padding to vulnerable parts. A spacer to go between the front forks is a good idea (ask your bike shop for one) and pad the bottom of the forks. The rear derailleur hanger is vulnerable. Before disassembly, shift it on to the gear closest to the wheel (your easiest gear). Protect it with cloth, or bubble wrap. Consider using bubble wrap or foam pipe lagging on other vulnerable parts of your frame. Your chainrings (front sprockets) may cut through the cardboard: cover their underside in padding strips while securing the pedal crank arms in a horizontal direction. Use cable ties (toe straps are an excellent, reusable and less damaging alternative; see your bike shop) to secure detached items to the frame, and use plenty of packing tape. And don’t forget to pack tools for reassembly! If you are travelling with your bike regularly, you may opt for a hard case. They can come with wheels, which helps for transport, and usually have built in padding. But they can cost hundreds of dollars, can add extra weight, and don’t give much room for a lot of extras. Another alternative is a soft bike bag. They are light and convenient, but offer reduced protection, so make sure you use plenty of padding. These tips were taken from a 2011 edition of Bicycle Network’s Ride On magazine.